Den Den Town, taking its name from the Japanese word for electricity "Denki" is an alternate name for "Nipponbashi", which is a shopping district of Naniwa Ward, Osaka. Den Den Town is Osaka’s version of Tokyo’s Akihabara Electric Town. Although it is smaller than Akihabara, but prices are lower. 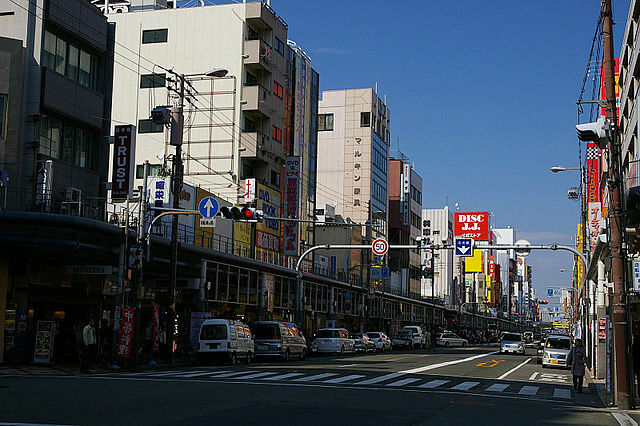 ​​Den Den Electric Town is famous for its negotiable prices, which is unique to Osaka and the Kansai region. 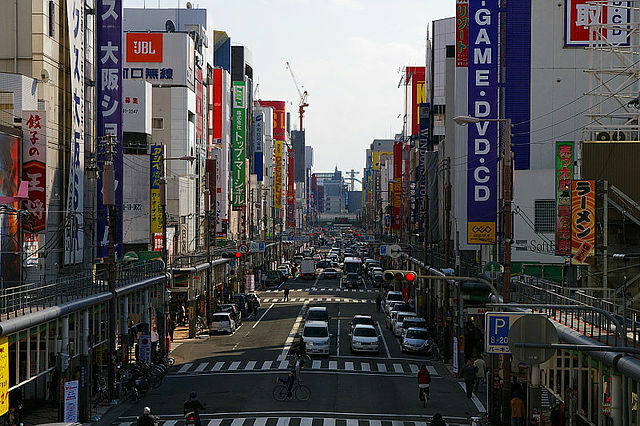 It consists of a wide variety of consumer electronics stores, but there are also manga stores and shops selling secondhand video games and CDs. ​​You’ll discover that it’s a good place to find some bargains, and there are so many shops here you’re bound to come across the gadget you need or find gadgets you didn't know they existed. ​Besides the usual large electronics retailers, Den Den Town is known for its many shops which specialize in, animation, manga, video-games, furniture, tools and collectibles. Several retailers are also tax- and duty-free. With the opening of Yodobashi Camera in Umeda and Bic Camera in Namba, Den Den Town saw a major fall-off in furniture and home-appliance sales, but has more recently become known as a haven for anime and otaku-related shopping. 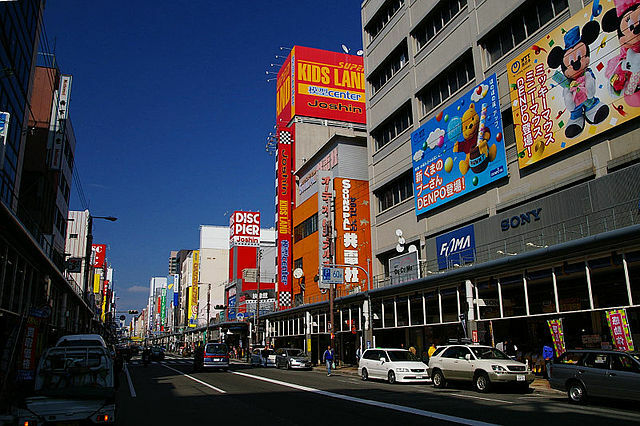 Along Otaku Road you can find stores selling manga comics, anime music and videos, retro toys and games, cosplay costumes, and collectible models and figures. Den Den Town is in the neighborhood of Namba Parks. Den Den Town runs along Sakai-suji Avenue, starting southeast of Nankai Namba Station and continuing down to Ebisu-cho Station. 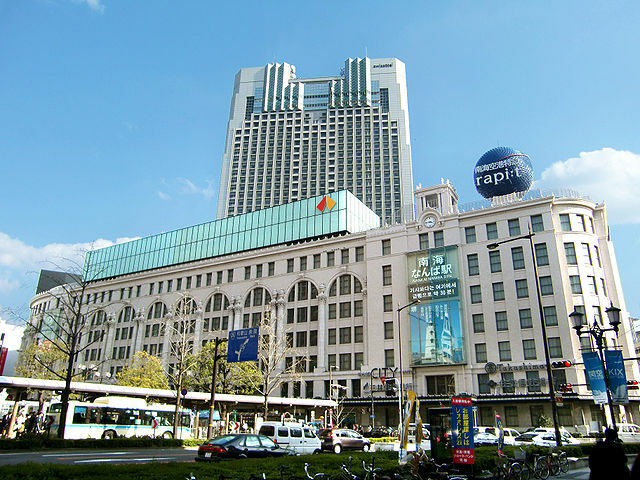 To get to Denden Town walk south from Nippombashi Station or north from Ebisu-cho Station. ​Tourist Information Centers would provide you city guidebooks which might come handy.